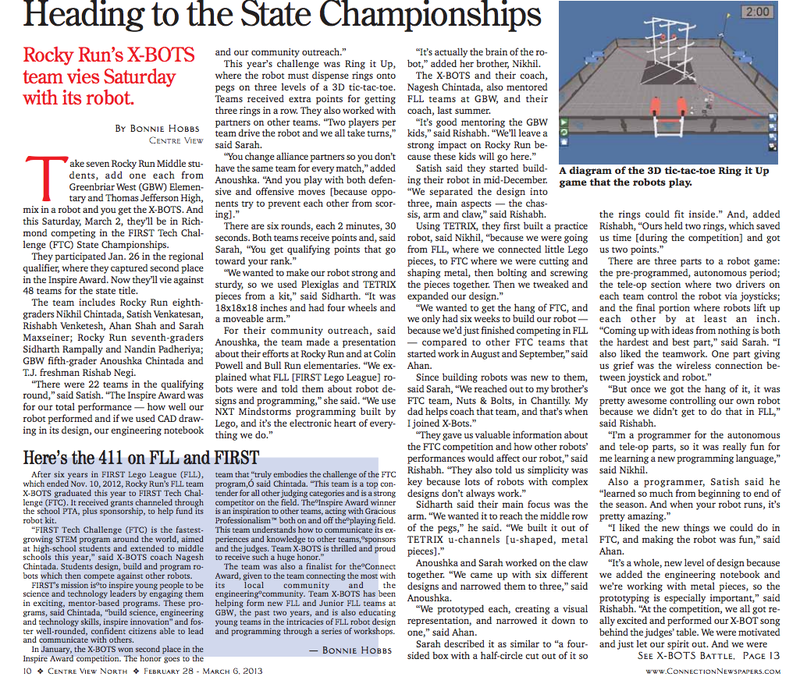 X-BOTS heading to State Championships: Wish us good luck! Here is a news article in Connection Newspapers! X-BOTS is a Rookie FTC team. In fact, we started way late in the season, in December 2012. 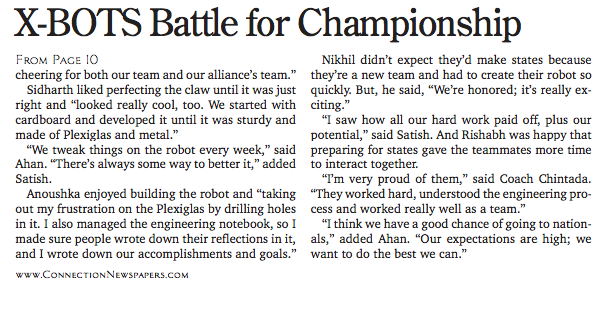 That’s because we finished FLL and moved on to FTC right away. We couldn’t wait until next year! Best way to explain FTC is by quoting the website. FTC is designed for those who want to compete head to head, using a sports model. Teams of up to 10 students are responsible for designing, building, and programming their robots to compete in an alliance format against other teams. The robot kit is reusable from year-to-year and is programmed using a variety of languages. Teams, including coaches, mentors and volunteers, are required to develop strategy and build robots based on sound engineering principles. Awards are given for the competition as for well as for community outreach, design, and other real-world accomplishments.